Stainless steel exhaust hood is suitable for experiments which generate high temperature smoke plumes. 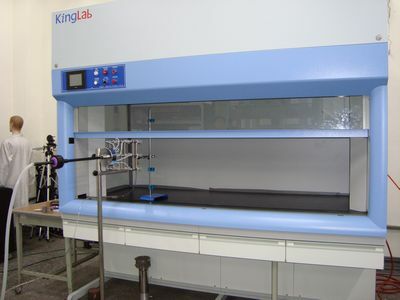 The equipment used includes atomic absorption spectroscopy (AA) or gas chromatography (GC), AA/ICP or an oven that emits high temperature gas during operation. The size, exterior shape, and exhaust volume of the exhaust hood can be designed and manufactured according to requirements.